The Barbie Doll has undergone many style, appearance and career changes throughout the nearly six decades she has been around. 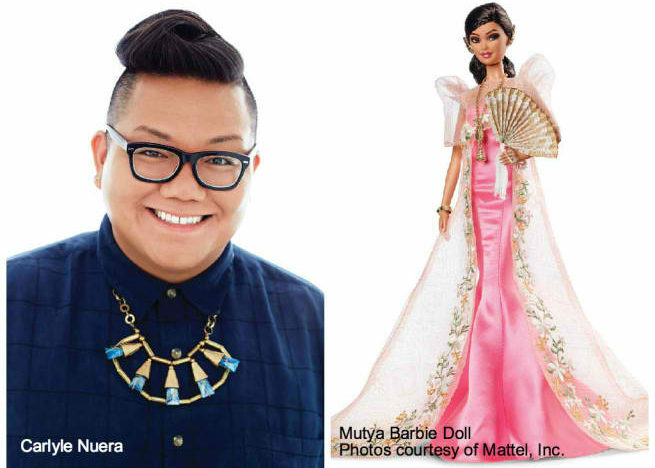 In February, the iconic doll received a Filipino makeover, designed by Filipino-American Carlyle Nuera for Mattel’s Global Glamour Collection. Taking elements from the Philippines and Filipino culture, the Mutya Barbie is dressed in a refreshing and modern pink, full-length organza terno, “taking great care to execute the signature butterfly sleeves in Barbie-scale,” Nuera said. The print that runs alongside the terno “references textiles of the different tribes in the Philippines as well as the sun icon from the flag,” Nuera described, while “the embroidery on the hem is inspired by the Philippine national flower, the sampaguita.” The doll also wears a necklace and bracelet, referring back to tambourine jewelry, and holds a fan in one hand. For avid Barbie collectors, this doll brings back the “Kira” face sculpt. Nuera’s design for the doll also draws from his own family experiences—his mother Ruby was Miss Tacloban in 1976, he said in an interview with NBC News. The collection started in 2013, according to its website, as a way to introduce “an international and exotic flair to Barbie doll.” The Mutya Barbie is the third doll in the series, after Tribal Beauty Barbie and Venetian Muse Barbie. Only 4,400 dolls have been released on TheBarbieCollection.com and through the Barbie Collection catalog, and demand for them has been high. 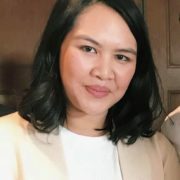 Nuera, who has been with Mattel since 2010, has designed dolls for the company’s Fashionistas and So In Style lines and one-of-a-kind creations for Barbie Adores Adam Lambert and Haute Hiver Barbie. He has also done work with the Ken doll, which brought his story full circle, as that line sparked his childhood dream for designing dolls when he received the Sun Sensation Ken for Christmas in 1991. Barbie, according to Mattel, is widely popular and ranks as the top girls’ brand in the Philippines, where one Barbie flagship store and six boutique stores have opened up in recent years. Mattel partnered with Richwell Trading Corporation in the mid-90s to create Barbie dolls tailored to the Philippine market, dressed in traditional costumes. In 2013, a limited-edition Philippines Barbie Doll was included in the Dolls of the World—Asia collection. As a tribute to the annual Pahiyas Festival, the doll is clad in a Maria Clara gown “with alternating gold and black panels and beautiful details” and comes with a passport and stickers representing the country. Though the Mutya Barbie is his first design for the Barbie collection, Nuera is looking forward to this year as more dolls will be introduced. “2015 is going to be an amazing year for Barbie! I am very excited about the Fashionistas line launching this year, featuring a huge variety of looks. I designed some of those dolls, so it’s great to provide consumers with dolls that reflect the global society that we all live in.” Nuera said.